Review: War Horse. National Theatre Tour. Nottingham Royal Concert Hall. – East Midlands Theatre. War Horse, based on Michael Morpurgo’s beloved novel and adapted for the stage by Nick Stafford, is a remarkable story of courage, loyalty and friendship. After its UK tour (currently at Nottingham Royal Concert Hall) a production returns to the National Theatre eleven years after its NT debut for a limited run in November 2018. 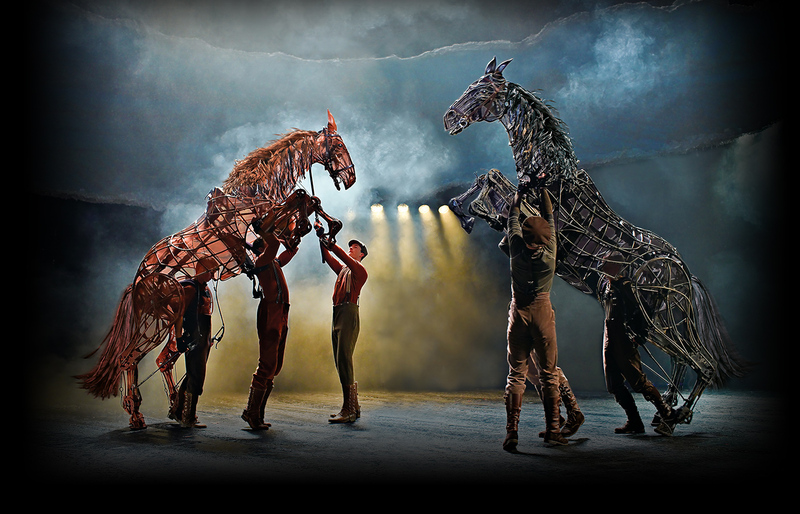 War Horse, at the NT marks the centenary of the Armistice which brought World War I to an end. The current UK touring production, remains in repertoire from 8 November – 5 January 2019. This utterly brilliant touring production is directed by Marianne Elliott and Tom Morris, and, of course, features ground-breaking puppetry by South Africa’s Handspring Puppet Company. Handmade and the actors in the show bring the living, breathing horses to life on stage. This show must be one of the most anticipated shows of the Nottingham Theatre Royal/Royal Concert Hall year. The plot is a thrilling tale of loyalty between a young man called Albert Narracott and his horse, Joey. It mixes friendship, First World War camaraderie, courage, suffering and fear. Right from the off, our audience are at one with their early 20th Century times and enraptured by Joey and Topthorne, the horses. The story of the animals’ incorporation into army service is desperately sad. Over one million horses were forced to join a major conflict they didn’t understand and only around sixty two thousand of them returned to the UK after Armistice Day. The deeply connected story of sixteen year old Albert Narracott trying to find his horse in the middle of a terrible war zone grips the audience like no other as they watch the action unfold. A twenty-five metre projection screen that resembles a page torn from a sketch book helps to move the play along and the audience understand the chronology. The graphics projected onto this screen are tremendously good, at times frightening and very evocative of the period and battle fields. The startling, almost biblical set is designed by Rae Smith. The atmospheric lighting is by Paule Constable, with video design by Leo Warner and Mark Grimmer for 59 Productions. The inclusion of the song work by song maker John Tams with music by Adrian Sutton and sound by Christopher Shutt adds great depth to the emotional and dramatic feel of the play. As the play concludes, many people are seen leaving with a tear tears rolling down their faces including this emotional wreck of a reviewer whose name happens to mean ‘Lover of Horses’. The acting of all the company and the portrayal of the horses is superb. For once we can believe the hype that comes with the show and then some! The current touring cast includes Thomas Dennis (Albert Narracott), William Ilkley (Arthur Narracott), Gwilym Lloyd (Ted Narracott), Adam Barlow (Greig/Schweyk/Sergeant Fine), Andrew Hodges (Sergeant Thunder), Ben Ingles (Lt Nicholls), Peter Becker (Friedrich), Joëlle Brabban (Emilie), Kiran Landa (Annie), Arinder Sadhra (Paulette), Elizabeth Stretton (Matron), Jasper William Cartwright (Billy/Heine/Kleb), Jonathan Charles (Bone/Vet Martin), Max Gallagher (Geordie), Billy Irving (Goose/Schnabel), Jack Lord (Klausen), Toyin Omari-Kinch (David), and Simon Victor (Stewart/Heine/Ludwig). Other talented members of the cast create Joey and Topthorne the main horses and the various other puppet creatures throughout. The whole ensemble must be greatly applauded for their brilliantly committed story telling. … brilliantly committed story telling. 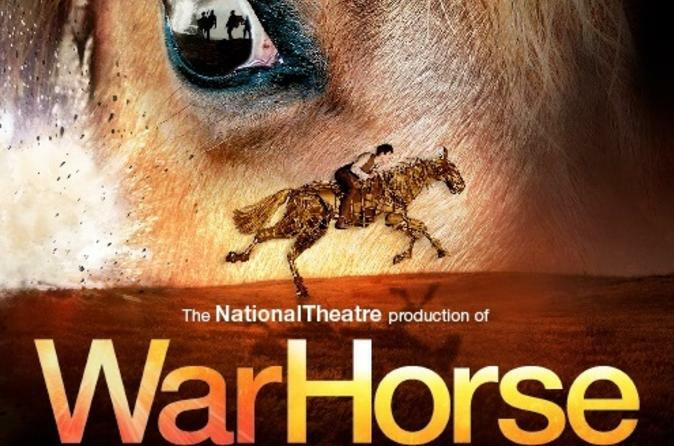 Historically, War Horse received its world premiere on 9 October 2007 at the National Theatre, where it played for two seasons before opening at the New London Theatre in March 2009, running for seven years. 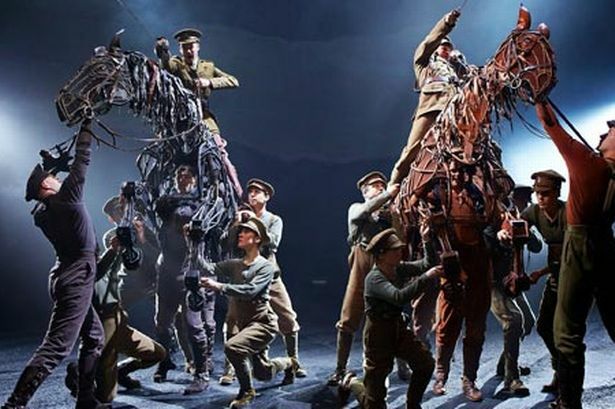 The War Horse play has been seen in ninety-seven cities in ten countries, including productions on Broadway, in Toronto and Berlin, with touring productions in the UK and Ireland, North America, the Netherlands, Belgium and China. War Horse runs at Nottingham Royal Concert Hall 14 March – 7 April 2018. Very highly recommended – but take your hankies. Changing perspectives of disability on stage.